Rdio to pay artists for introducing new users | What Hi-Fi? Streaming music service Rdio has launched a new way that artists can make money from the service. The Rdio Artist Program will pay musicians and bands $10 for every new subscriber that they introduce to Rdio. Artists such as Scissor Sisters, Snoop Dogg aka Snoop Lion, Chrome and more are already on board, giving them an extra incentive to point fans towards streaming music. Streaming services such as Rdio and Spotify have previously been criticised for not paying artists enough money for giving users access to their songs. The Rdio Artist Program is clearly a step to try and rectify that. “There is no art without artists," said Rdio's founder Janus Friis. "As part of this industry, we know a business that doesn’t reward its most important contributors is a business that has to change." The Rdio Artist Program is active in all 14 countries where Rdio is available and any artist with an existing artist page is eligible to join. 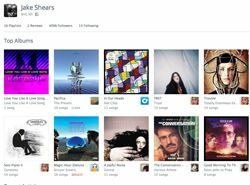 Rdio says this new program complements the licensing deals already in place with labels and distributors, and aims to add an additional direct, amd transparent, revenue channel. Rdio announced back in August that it now has some 18 million tracks available for streaming, putting it in the same ballpark as Spotify. Rdio is available on Android, iOS, desktop, web browser and more.